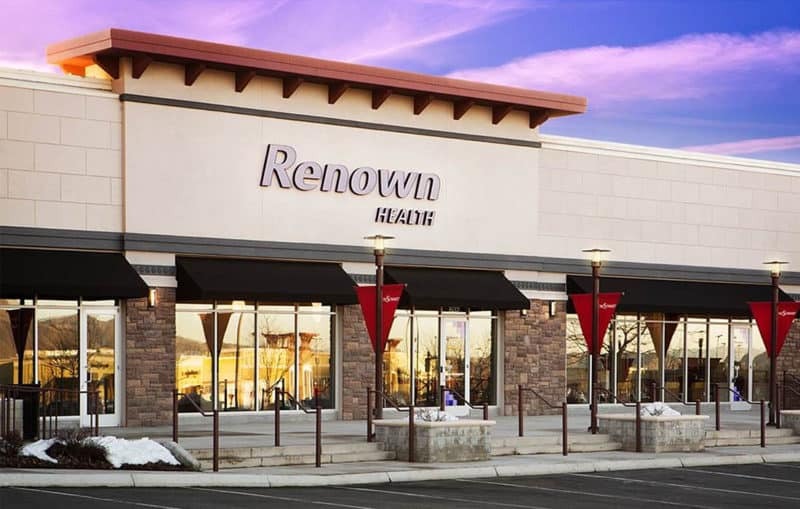 RENO, Nev. – Renown Health is opening a new family practice clinic in the Summit Mall in early spring. The clinic covers three vacated storefronts, including those previously occupied by Jos. A Banks, which moved to a location near Meadowood Mall. Shaheen Beauchamp Builders LLC was the successful bidder for the project, and was chosen as general contractor, architecture and design was by Eric Fong of MBA Architects + Interior Design, structural engineering by Forbes Engineering, and mechanical, plumbing and electrical engineering was completed by MSA Engineering Consultants, all based in Reno. Brenda Erickson, project manager for Shaheen Beauchamp Builders, said demolition was completed in November, with plumbing and electrical and interior finishes being completed in February. At least 12 local contractors employing more than 50 area residents were used to complete the 10,000-square foot medical facility.